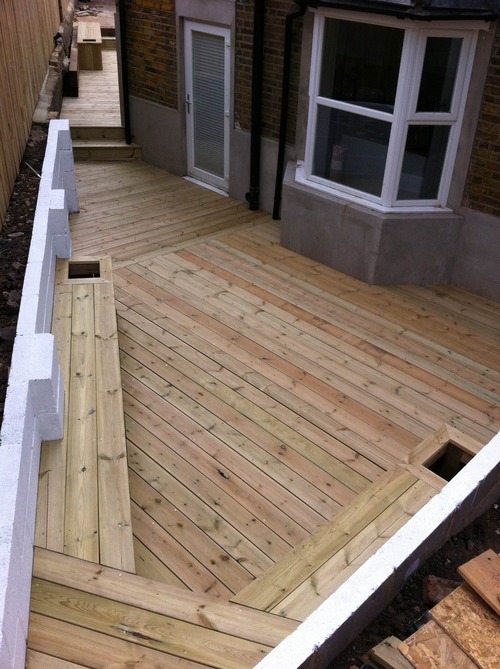 This garden in South East London lacked light and space even though it had a large footprint. We sadly had to remove a large tree as it took all the essentials from the area, but this did allow us to dig back the beds and create this wonderful timber clad and decked space complete with integrated seating and planters. Lots of planting will be added in the next stage. We built a retaining wall to keep the soil and pavement from encroaching on the garden. 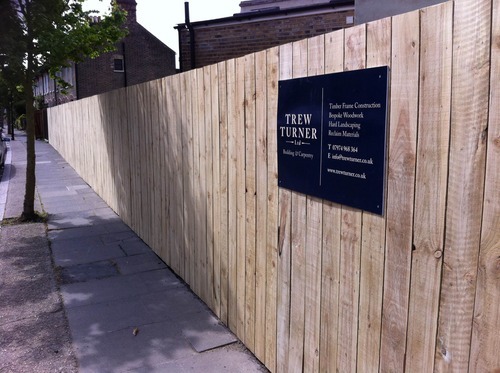 The cladding replaced an old wall and fence and gives much better flow to the area, as well as a great backdrop for climbing plants. 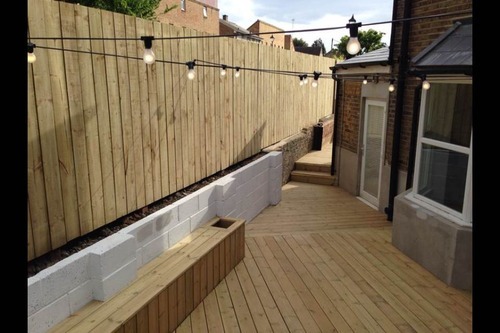 The "Festoon" lights you can see are a great option, especially in an overlooked garden such as this as they create a lovely warm atmosphere below. The softwood cladding has two sides, one for the garden and one for the pavement. By using this type of system there is no need to see joins or posts as you would traditionally. You can even cut small sections out to house plants or lights. It’s all backed up structurally by large vertical posts and 2x4 stud work.